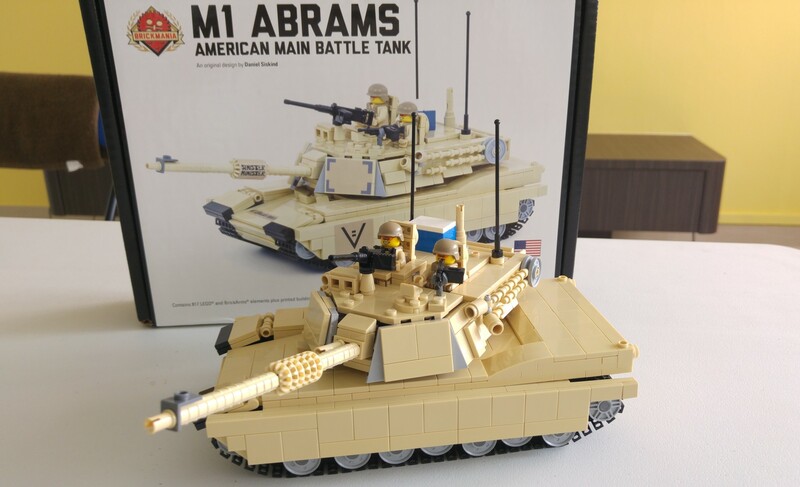 The M1A2 Abrams represents the U.S. Army’s technological improvement of the basic M1A1 design and is the most modern battle tank in the world. 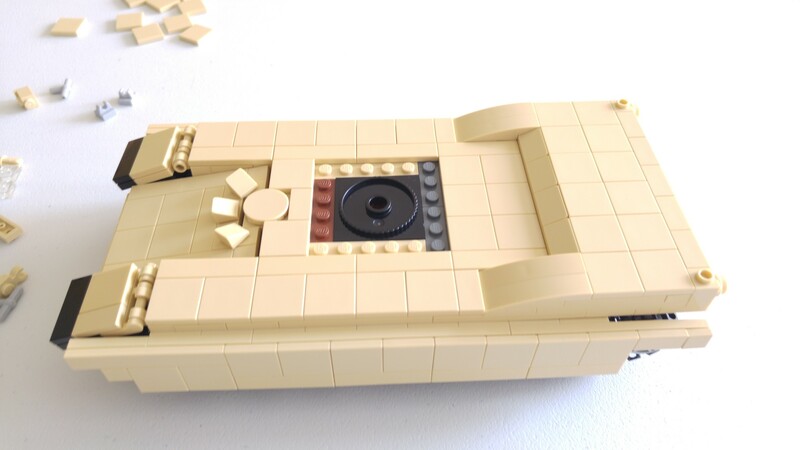 Similar in appearance to the M1A1, the most notable exterior changes on the M1A2 are the redesigned Commander’s Weapon Station (CWS) and the addition of a Commander’s Independent Thermal Viewer) on the left side of the turret forward of the loader’s hatch. 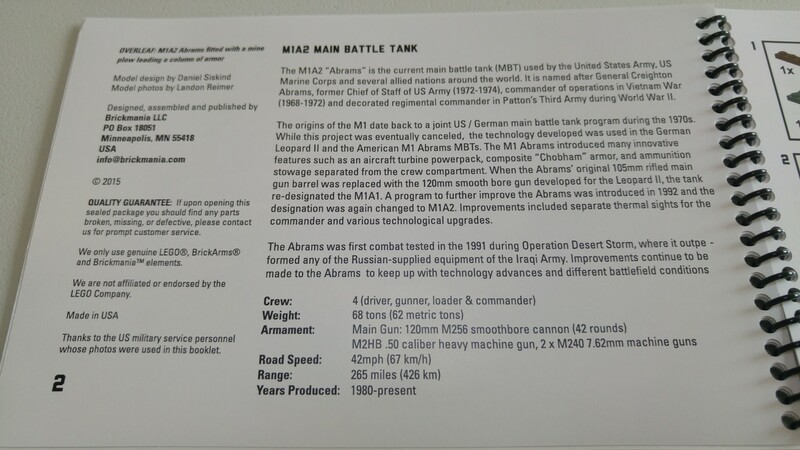 Internally, however, the M1A2 has been radically redesigned to take advantage of newer technology. 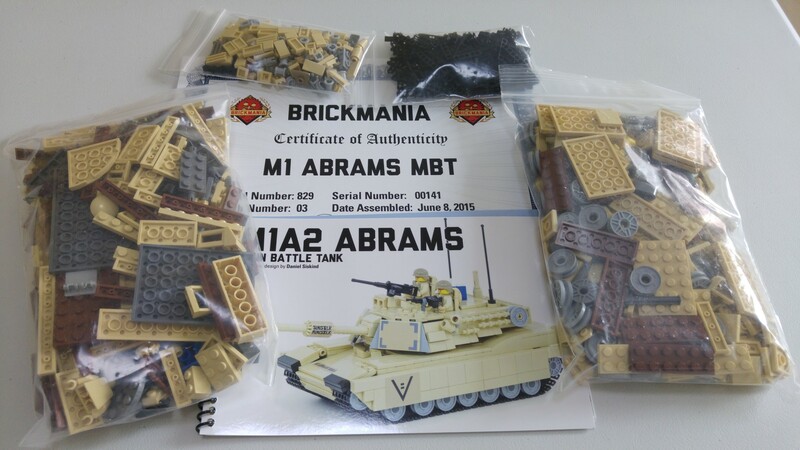 This kit is a BrickMania premium kit and comes in a black box, however this black box is slightly larger than those which has been reviewed in the past. The box contains the following, 3 zip lock bags of the LEGO parts required for the kit, LEGO tracks, an instruction booklet, a certificate of authenticity and lastly a die cut premium vinyl sticker sheet sandwiched between the instruction booklet. A random shot of the instruction booklet. Definitely better than the normal edition kits which usually comes with a stapled instruction leaflet. 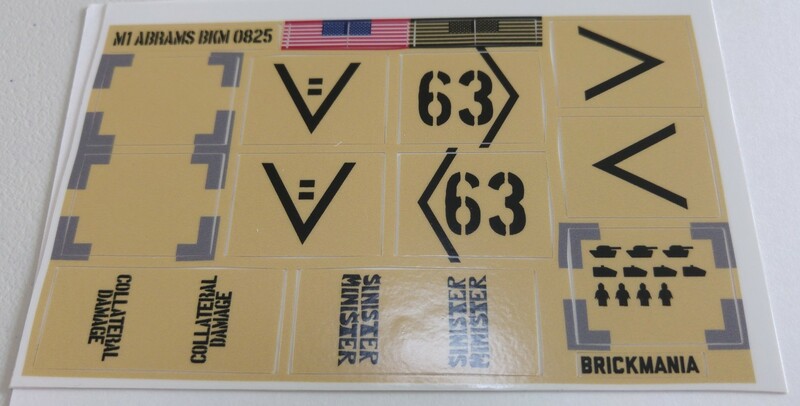 The die cut premium vinyl sticker sheet up-close. 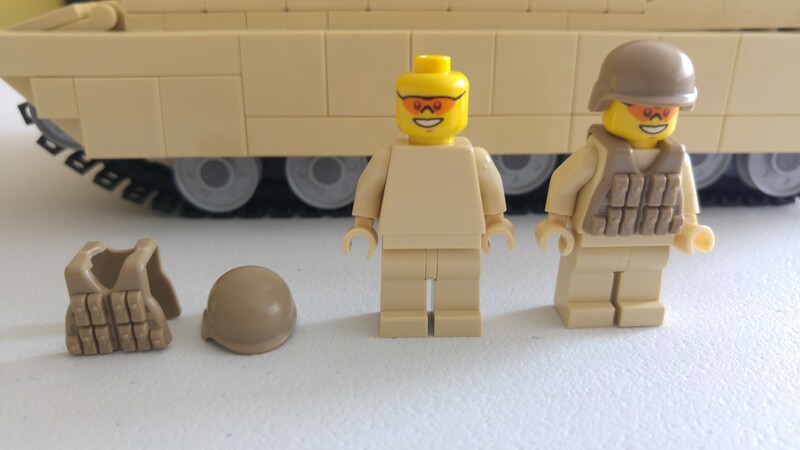 The 2 blank tan minifigs (sighs), complete with Brickarm’s accessories. Sadly no weapons are included. 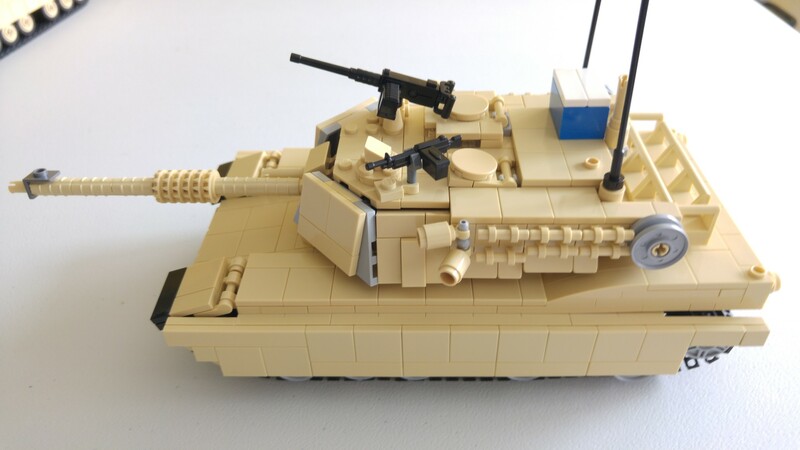 M1A2 random build shots – Note that no minifigs can fit in the body section. 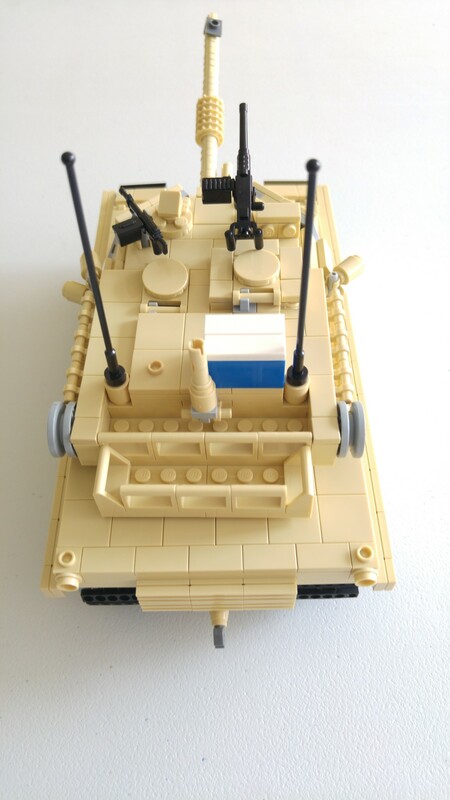 It took about 3 and the half hours to complete fixing up the M1A2. As with all Brickmania Black box edition, final Construction is impressive. 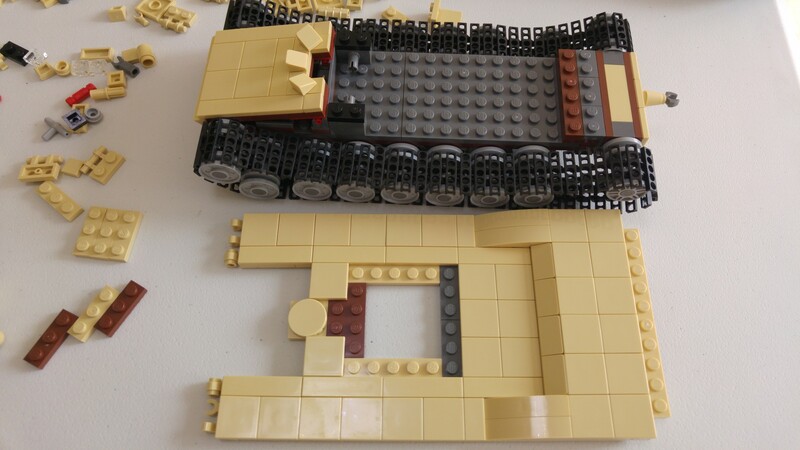 The tank features very roll-able smooth tracks and the turret and turn 360 degrees. It should be able to survive daily play. 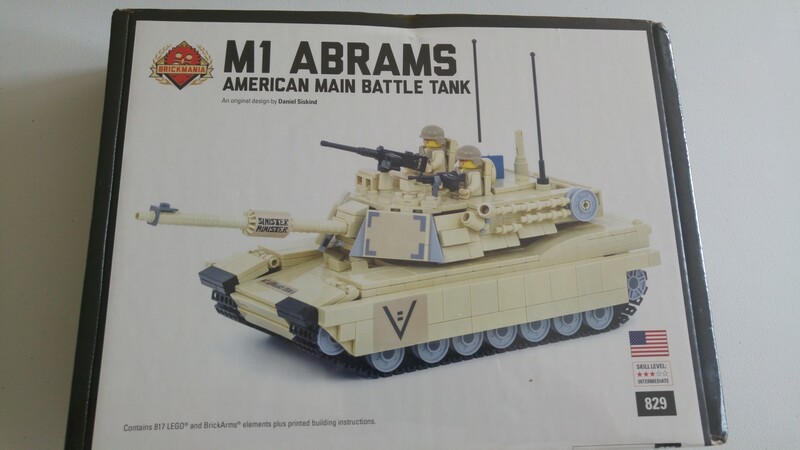 The high quality stickers add on great details to the tank, however I did not apply the stickers for my set. The instruction booklet is well designed and printed on glossy thick paper. Another plus point here. The 2 soldiers are the disappointment for this premium set. No printed torso and no weapons for both minifigures. However BrickArms helmets and body vest makes up for this. 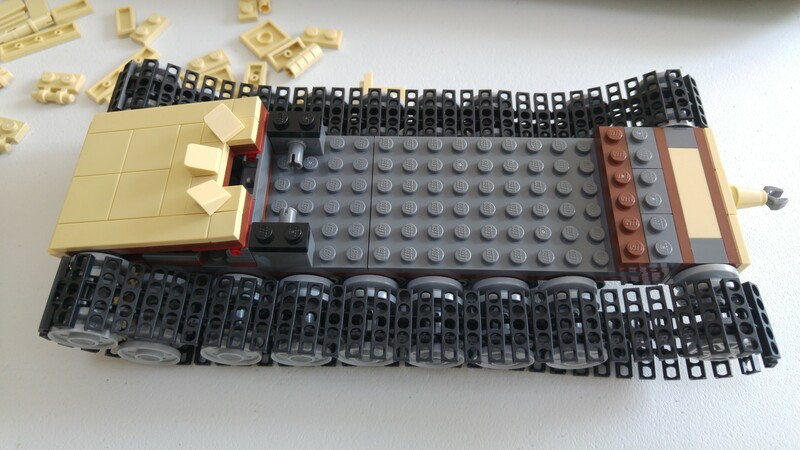 Normal LEGO tracks were used in this kit. 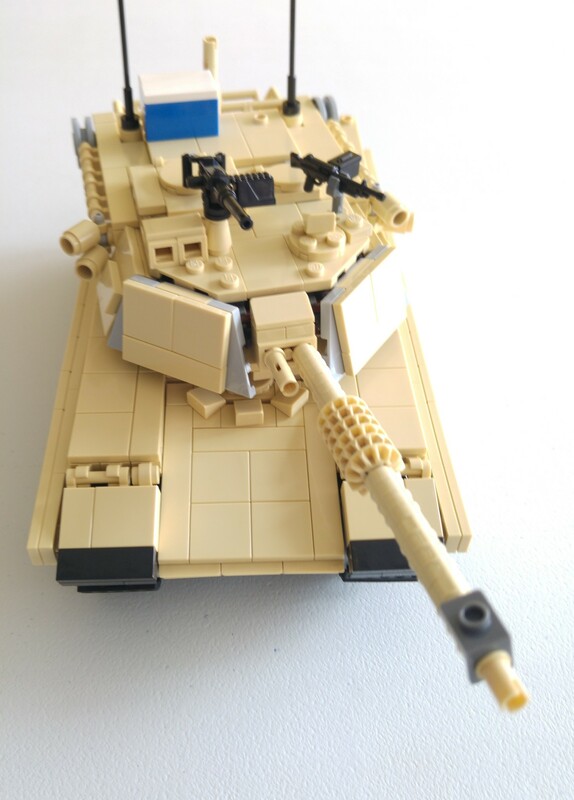 The last and greatest draw back is the price as it is rather high for this set, but for most LEGO collectors who love modern day tanks, this set is worthwhile to build up and own..